The Sarella is designed for every sort of customer. Easy to use, you don't sink deep in to the chair and struggle to get out. You can tailor this to suit the leather finish with your business interior colours. 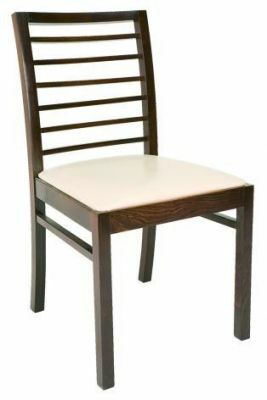 Contempoary design wood dining chair with a distinctive back and thick strong wooden seat. Designed for use commercial establishments with a high turnover of customers.